With the waves pumping and the sun shining day two was a go. Saturday welcomed the start of the men’s heats, bringing with it a flat out agenda to get all 252 male competitors in the water competing to try and bring home that all important first place trophy and maybe even more importantly premiere place team trophy. After delivering a small to flat day of surf yesterday the surf Gods changed their minds and brought us some tasty 3-5ft offshore goodness for the guys to get their teeth into. An early 8.30am start kicked off the proceedings with some sore heads dotted on the beach after last night’s activities. With 48 first round heats to go through meant Saturday was reserved for the guys, who had a high standard to follow from the girls who shredded all day Friday. Looking good in the men’s is last year’s second place, Rhys Poulton from Swansea University, who is looking to beat his last year’s finish and go for the win. 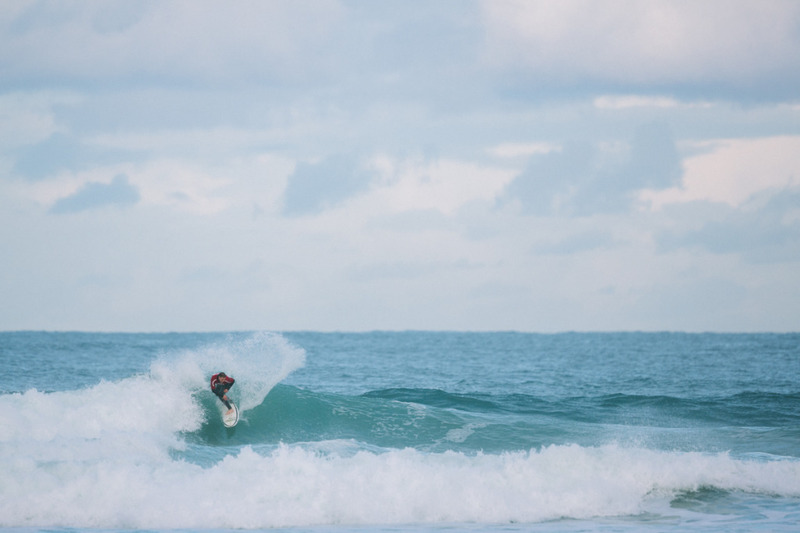 Also given a lot of hype is Exeter University surfer Adam Bayfield, a local boy from St. Ives, Cornwall and Plymouth’s Will De Garis who looked confident and stylish in his two heats. Surfer of the day came down to Matt Chapman from FXU who managed to grab a pretty damn respectable combined score of 14.5. Despite many a downpour, spirits were high and the rain didn’t dampen the good vibes. The atmosphere, beach activities and cheering were all spot on. Tomorrow brings with it the all-important, finals day. There will be tears of joy and tears of sadness but it won’t be anything short of a corker. The surf will be a bit smaller at around 2-3ft with a strong offshore wind in the morning, which will slowly progress onto a cross/onshore wind in the afternoon. A heat to keep an eye on for the girls is definitely Emily Williams and Flora Lawton who will be battling it out in one of the semifinals, after both looking strong it’s impossible to call it. Make sure to be at the beach 8.30am sharp for a day of shredding.